Similar in style to the crowd-favorite Humble Bundle, the Indie Gala is coming back for a second round. The collection includes three games that you can unlock for whatever price you'd like (minimum donations have been set at a dollar to ward off jerks and shady people). The three basic games are The Lost Souls, Battle Group, and Ichi. 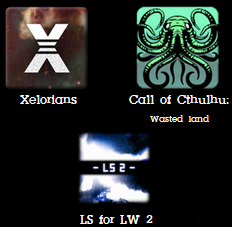 Pay more than $3.99 and you also get access to Xelorians, Call of Cthulhu: Wasted Land, and Little Stars For Little Wars 2. You'll also get access to a couple of Desura-unlockable games and the PC game Tiny Plumbers which totally isn't Mario related at all. 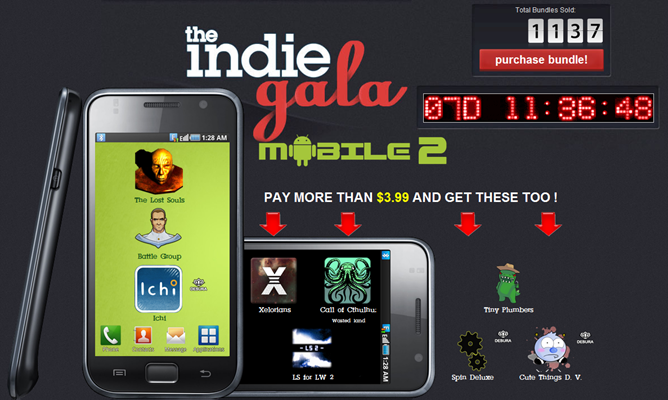 As with the previous galas/bundles, you can set your own price above or below the average, and even use handy little sliders to decide how much of the price you'd like to go to developers, charity, or to tip the gala curators themselves. So, see any games you like?